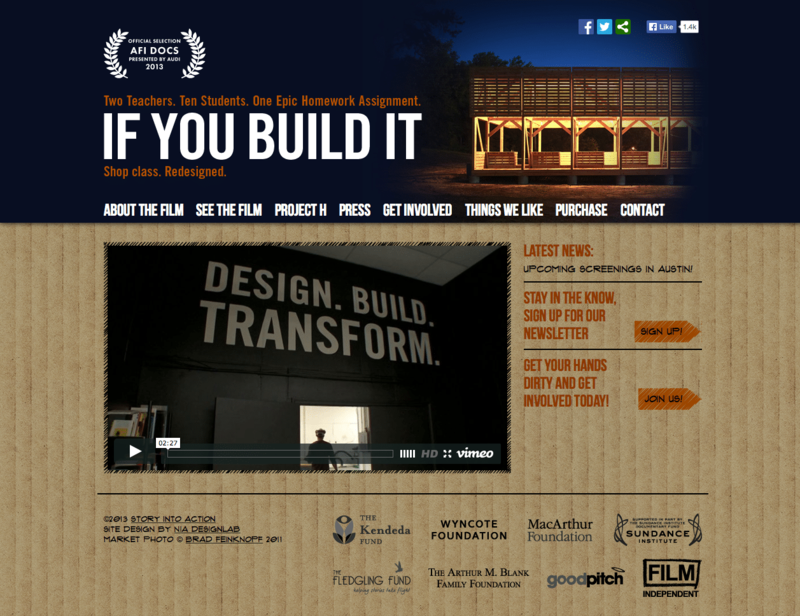 If You Build It is a film that follows designer-activists Emily Pilloton and Matthew Miller to rural Bertie County, the poorest in North Carolina, where they work with local high school students to help transform both their community and their lives. 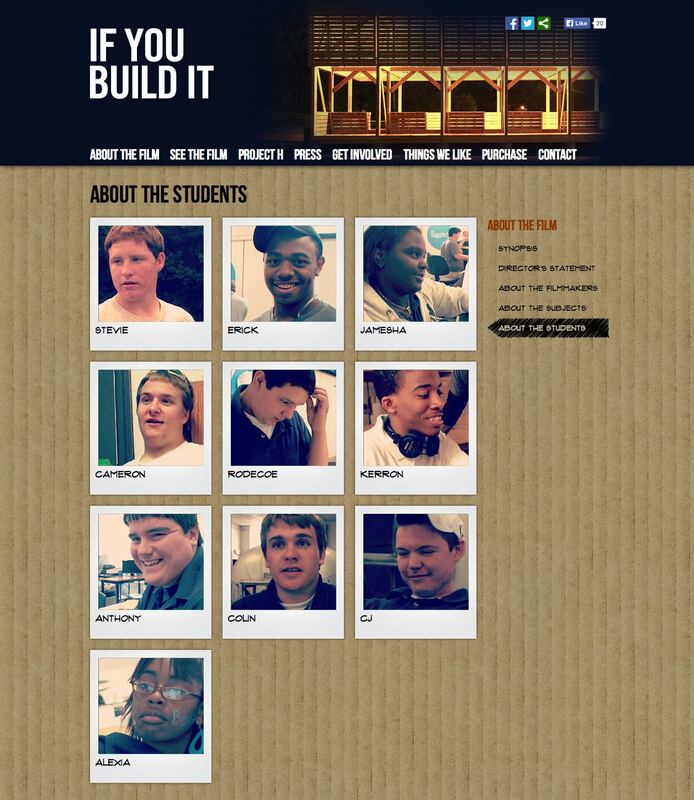 The website provides viewers with factual information about who created the film and where to see it, as well as deeper insights into the subjects and students. 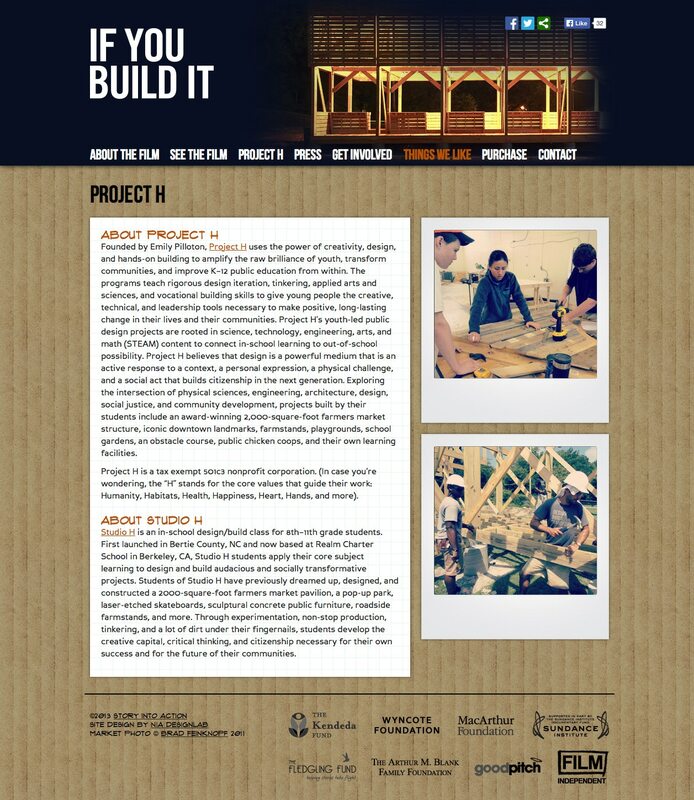 The site features an easy-to-use content management system which allows the production team to add updates at a moments notice.